Think back to the late 90s - Britpop had started to take a grip, delivering number one albums from Blur, Prodigy, Oasis, Reef, Mansun, Radiohead and Verve, as well as minor irritations from Spice Girls and a bloody dreadful set from U2 (ironically called "Pop", which must have referred to the sound that their world-dominating bubble made). Never within sight of the top-slot was Ultrasound, a beefy indie-rock band and the temporary press-darlings of NME for 1997-98. But they were deserving of a decent audience, knocking out some memorable tunes like "Floodlit World", "Best Wishes" and their biggest hit "Stay Young". However, the music weeklies and monthlies seemed more fascinated with lead singer "Tiny" and his physique, but the fans didn't care - they just wanted the music. 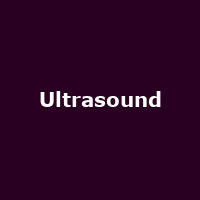 They can have it all again because Ultrasound are back - but only for two gigs. The first is in Leeds on 10th September for a special price of just £5 plus fees, while the second is a return to their home-town at London's Bull and Gate on the 27th Sep - tickets are only £7 for this one. It'll be an emotional reunion and it's unlikely the band will add many more, if any, dates to the line-up.